UnEarthing the delights of Langhorne Creek. After operating in the transport and tourism industries, something was quite obvious to our team. "The consumers needed more choice!" We felt that people visiting and living in Adelaide deserved a quality product providing a memorable experience. A flexible and adaptable product that meets the customer's needs is what we think we now provide. Where the heck is Langhorne Creek?. It would be no surprise to hear that from some one. 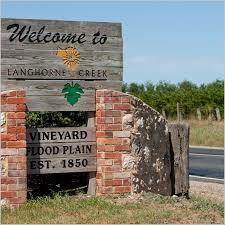 Langhorne Creek is the most exciting wine region at the moment. Bremerton Wines, Lake Breeze Wines and Bleasdale Wines may all be unknown labels to most. Labels Like Wolf Blass and Metala would be very familiar to many people. Langhorne Creek Wine Region is markedly different to any other in South Australia but well worth the visit.